The 2018 Honda Accord has been making headlines for a while now, and that's because it continues to garner praise from basically every journalist association. 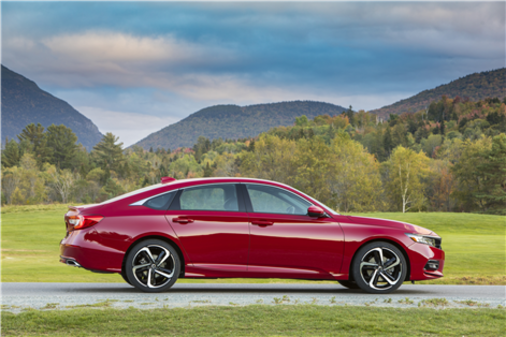 Redesigned last year, this 10th generation of Honda's popular mid-size sedan is more spacious than the model it replaces in addition to being more powerful and fuel-efficient. Already very popular with consumers looking for a spacious and refined sedan, the 2018 Honda Accord could very well finish first in sales in its segment this year. Here are three things you need to know about the new 2018 Honda Accord, which has just won the AJAC Canadian Car of the Year title. The 2018 Honda Accord is powered by a standard 1.5-liter turbo four-cylinder engine that delivers an impressive 192 horsepower with 192 pound-feet of torque. This engine can be paired with a high-performance, continuously variable automatic transmission, but you can also choose a six-speed manual gearbox. The other option is an even more powerful 2.0-liter four-cylinder turbo engine that develops 252 horsepower and an impressive 273 lb-ft of torque at only 1,500 rpm. This power is really impressive, especially for a midsize sedan. The 2018 Honda Accord is able to stand out on many levels, but the efficiency of its turbo engines is certainly at the top of the list. After all, the entry-level turbocharged four-cylinder engine offers nearly 200 horsepower, but it also surprises with an average fuel consumption of just 7.9 liters per 100 kilometers in the city, and 6.3 liters per 100 kilometers on the highway with the continuously variable gearbox. You can’t really ask for more. Even if you opt for the more powerful 2.0-liter engine, fuel consumption remains very interesting with an average of 8.2 liters per 100 kilometers in the city and only 6.8 liters per 100 kilometers on the highway for an average of 7.6 liters per 100 kilometers. Pretty impressive when you consider that this engine develops 252 horsepower and 273 pound-feet of torque! The 2018 Honda Accord is ultimately very well equipped with keyless entry and push button start. But what impresses most is without a doubt the standard Honda Sensing safety system. The latter offers a range of active safety equipment such as intelligent cruise control, automatic braking, lane departure and prevention, city braking and much more. This is basically your guardian angel who is there to prevent collisions even if you are distracted. 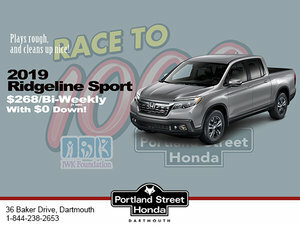 For more information, contact us today at Portland Street Honda!